Apple yesterday debuted new Smart Battery Cases for the iPhone XS, XS Max, and XR, and review units are in the hands of members of the media and some lucky people who received early deliveries. 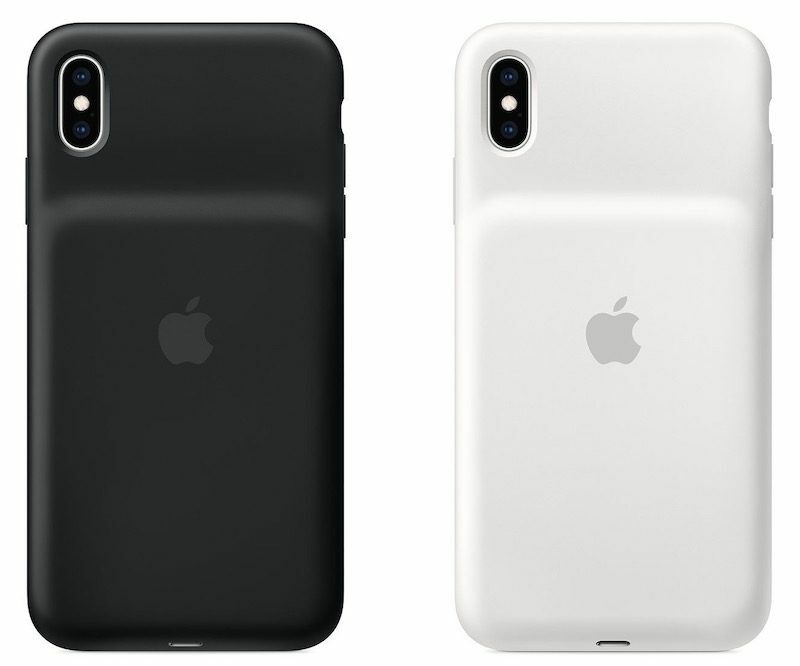 Many iPhone X users have been wondering if the iPhone XS Smart Battery Case will work with the older model given that the two devices are nearly identical in design, and the answer appears to be yes, though there is some uncertainty. This morning, iMore's Rene Ritchie put an iPhone X running iOS 12.1.2 in an iPhone XS Smart Battery Case and received an error suggesting the iPhone X was not compatible with the case. He updated the iPhone X to iOS 12.1.3, however, and was able to get the iPhone X to charge in the iPhone XS Smart Battery Case. He also now says that the iPhone X will charge with the Battery Case if the incompatibility popup is dismissed. A MacRumors reader was also able to get the iPhone X to charge in an iPhone XS Smart Battery Case, and Chris Welch of The Verge said in his testing, the iPhone X was able to charge an iPhone X running iOS 12.1.2 in an iPhone XS Max Smart Battery Case. So it appears, based on this limited amount of testing, that the iPhone X is going to charge in an iPhone XS Smart Battery Case, though there could be some compatibility issues on iOS 12.1.2. If the case doesn't charge the iPhone X, as Ritchie suggested, you can restart the iPhone or update to iOS 12.1.3 to get it working. It is worth noting that while the iPhone X may charge in the iPhone XS Battery Case, the fit is imprecise. The speaker and microphone holes do not line up, and the camera cutout is a bit off. The iPhone XS Max normally offers up to 25 hours talk time, 15 hours of internet use, and 15 hours of video playback, which is extended to 37 hours of talk time, 20 hours of internet, and 25 hours of video playback with the Smart Battery Case. The iPhone XS alone features up to 20 hours of talk time, 12 hours of internet use, and 14 hours of video playback, which is extended to 33 hours of talk time, 21 hours of internet use, and 25 hours of video playback with the Smart Battery Case. The iPhone XR features up to 25 hours of talk time, 15 hours of internet use, and 16 hours of video playback, which is extended to 39 hours of talk time, 22 hours of internet use, and 27 hours of video playback. The Smart Battery Cases are priced at $129 and can be purchased from the Apple website. As someone who owned the X (upgraded to the XS), this is unbelievable. I cannot understand the rationale for the software block of this. If someone is willing to spend $129 on it and they’re a X owner, I just cannot fathom why this makes any sense. It does work and charge on an iPhone X. Working perfect on mine. Sound is just as loud as before. The issue with non-Apple Battery Cases is the fact that they work as glorified battery packs and chargers. Your phone has no real clue that you are utilising a Battery Case. Why is this a issue? Well because there are numerous things your iPhone will do only when it's connected to power. It saves a lot of power hungry tasks by default to only be done when it's connected to a charger. Your phone is automatically in a more power hungry state by default when you are connected to a charger. This is not a issue with the Apple Smart Battery Case because it's directly integrated with iOS. With this case your phone knows it's just a secondary battery and it will behave accordingly. When utilising battery cases from Mophie and other brands it will simply behave like a regular charge. Those cases have become smarter so they won't completely overload your iPhone's battery by continuously provide charge/power as long as the case's battery still have juice let of it but it will still trick your phone into believing you are connected to a wall outlet and behave accordingly reducing the potential battery life of the case drastically compared to have it all behaves with the Apple Smart Battery Case. So a guy on Reddit cuts off an iPhone 7 case and plugs it into the X and it works - Apple releases a case that fits and should work, but add software to make it not work. The days of my patience with Cook and Co's new Apple are running thin. The iPhone X set the path for the next 10 years, said Tim Cook, but discontinued it a year later and seems to not support it anymore. Early adopter issues. Out of luck? This saves X users from buying junk. Saves countless iPhone X users money. Isn’t the antenna system and speaker holes different on the XS? Did Apple ever advertise this case as being comparable with the X? The worst thing about the internet and social media is it’s full on outrage mode 24/7. Sigh.